This year’s First year Choir came together in mid-September and they rehearse for one class each week. There are 50 singers in this choir and they already make a really good sound. At the moment they preparing three songs for the Christmas Concert in December and these include; Yesterday, By the Waters of Babylon and This Little Light of Mine. Christmas will be a busy time for them as they will be performing in The Christmas Concert at DLS and also the Carol Service. 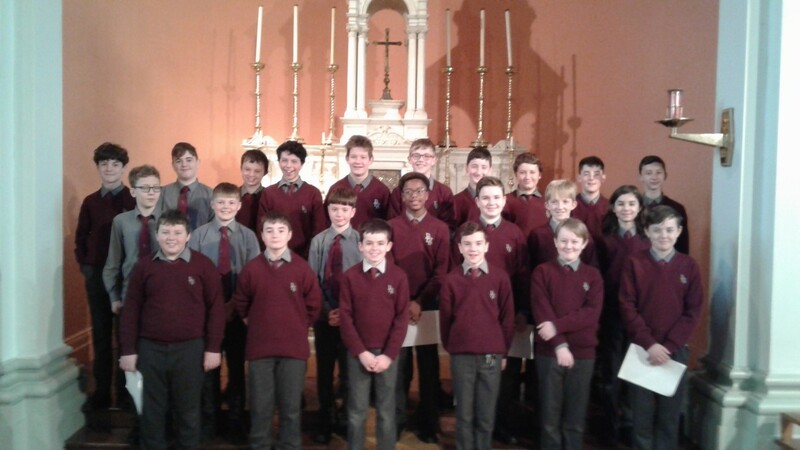 They will sing at Carols by Candlelight in the Sacred Heart Church on Monday December 17th and this year they will perform at Winterval on Wednesday December 19th. So they have lots to look forward to after Halloween and no doubt they will be great.